What comes to your mind as soon as you hear the name oregano? Most of you would think of an a pizza, I am sure! But oregano is a chief ingredient in several other dishes and is very often a part of the Mediterranean cuisine. 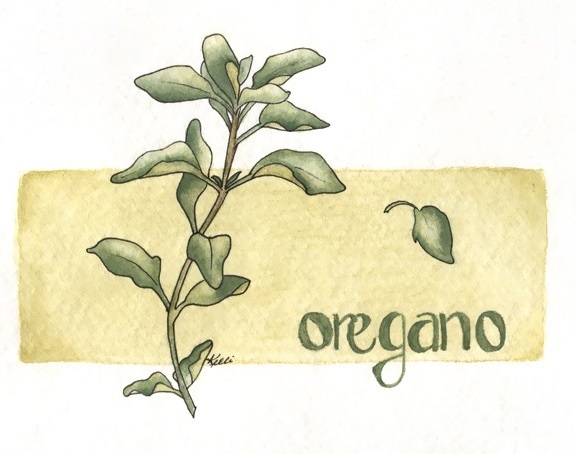 The balsamic and aromatic flavor of oregano was first made a part of food by inhabitants of countries across Europe. Oregano, a flowering herb that is best known for the spicy taste and unique flavor it provides to worldwide cuisines, is a perennial crop. In fact, the name ‘oregano’ is derived from the Greek words ‘oros’ and ‘ganos’, which mean ‘mountain’ and ‘joy’ respectively. The oregano plant is characterized by purple flowers which add to its beauty and since they grew mostly in the mountaintops of Greece, the plant was named as ‘oregano’. While most varieties of oregano crops are bitter to taste, there are sweet and spicy versions of the herb available and used in cooking and as a seasoning. Most of us are aware of the taste of oregano, but we often forget that the herb is also blessed with many healthy benefits. Let’s take a look at some of them in the following sections. The flavor of the herb oregano was first discovered in the northern parts of Europe. The Greek and Roman cultures first started the practice of using oregano as a flavoring agent in food. The rich aroma of oregano and its spicy flavor perfectly complemented the Italian and Greek food, and the herb soon gained popularity in other European countries. Being considered as a symbol of joy and happiness, oregano was used not only in Greek and Italian cuisines, but also as a symbol of celebrating joy and elation. For instance, it was a common practice amongst Greeks and Romans to crown their brides and grooms with laurels of oregano during a marriage ceremony. The French started using oregano in their food during the Middle Ages. The herb became so popular amongst the French that it is still a very important component of Mediterranean cuisine. It took a while for oregano to enter the United States from Europe but when it did, the Americans could not ignore the flavor which had already captured the taste buds of people in Europe. It was the US soldiers serving in Europe during the Second World War who introduced oregano to fellow Americans. Oregano was chiefly used as a seasoning in pizzas in Italy and therefore the aromatic herb became known as the ‘pizza herb’ in the US, a culinary concept that is still popular. Oregano is a very effective anti-bacterial agent. The oil of oregano contains thymol and carvacrol, both of which are effective in inhibiting the growth of bacteria harmful to health. Medical experts are of the opinion that it is better and safer to use oregano oil than a prescription drug for the treatment of infections caused by bacteria or amoeba. Phytonutrients, like thymol and rosmarinic acid, present in oregano act as antioxidants and prevent oxygen based damage to the cell structures in the human body. Consumption of small quantities of oregano can provide the same antioxidant properties when compared to huge doses of fruits and vegetables. Oregano is an important source of fiber. The fiber in oregano combines with bile salts and toxins in the colon to flush them out of the body. The flushing out of bile salts leads to breaking down of cholesterol in the body to form more bile salts and thus, keep the cholesterol level under control. Flushing out of toxins from the colon prevents the risk of colon cancer. Oregano has shown antiseptic qualities since time immemorial. As an effective antiseptic, oregano is used to cure several stomach, respiratory and throat ailments. Topical application of oregano oil helps in curing skin infections, itchy skin and irritated gums. However, always use diluted oregano oil as pure concentrate can cause burning sensation to the tongue or skin. Consuming your favorite juice diluted with 2 or 3 drops of oregano oil on a daily basis makes a great remedy for sinus or lung infection. When taken in the form of a warm infusion, oregano brings relief to muscle spasms and cramps, colic or spasmodic pains in the abdomen. The dried leaves of oregano are applied in bags as a warm application to alleviate painful arthritic swellings and other conditions, including rheumatism. Oregano has about 265 calories per 100 gm of weight. Always buy the fresh form of oregano since it is superior in flavor compared to the dried version. 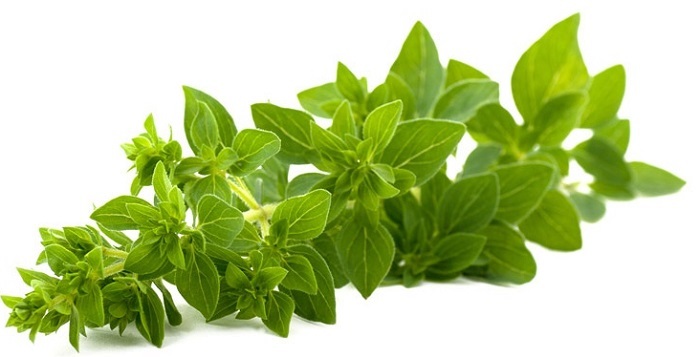 While purchasing oregano, check the leaves and stems of the plant. Only buy leaves that are a vibrant green and have firm stems. Avoid purchasing oregano whose leaves have dark spots or yellow patches. Though oregano is easily available at a supermarket near you, it is advisable that you purchase oregano from local stores that not only provide greater variety of the herb but also ensure superior quality and freshness of the herb. Check the labels of the packets before purchasing and buy only organically grown oregano. Fresh oregano can be stored in a refrigerator after wrapping it in a damp paper towel. Fresh oregano can also be frozen if you have purchased a large amount. Store oregano in an airtight container before freezing, which will last for a longer duration. Oregano that will be used within a few days can be frozen by placing them in ice cube trays and covering them with water before placing the tray inside the freezer. The dried form of the herb should be stored in airtight glass containers in a cool, dry and dark place. You can store dried oregano in this manner for up to six months.